Advising New Players – Are We Doing It Wrong? For as long as capsuleers have flown in New Eden, newer pilots have asked those of us with more experience where to begin. For as long as I can remember, the answer has been to point them to one or more of the nullsec newbie-friendly groups because conventional wisdom has dictated that getting them straight out of highsec was the best thing for them. Whilst most things tagged as ‘controversial opinions’ in this day and age are anything but, this one truly belongs in that category. The idea that new players should be essentially left to their own devices in highsec is, in my opinion, a dangerous one. First of all, Ashterothi alleges that nullsec is ‘boring’. Whilst it’s evident to all that the current megablob metagame isn’t exactly providing content at a great rate, I can’t imagine that the answer to boredom is running level 1-2 missions or mining in a Venture in high sec. These activities provide an incredibly low income compared to the activities available to a new player in null sec — gas huffing, exploration, salvaging, and VNI ratting. Whilst there are high ISK/hr activities in high sec (incursions and abyssal sites), these are generally gated off to people without hundreds of millions of ISK to spend. 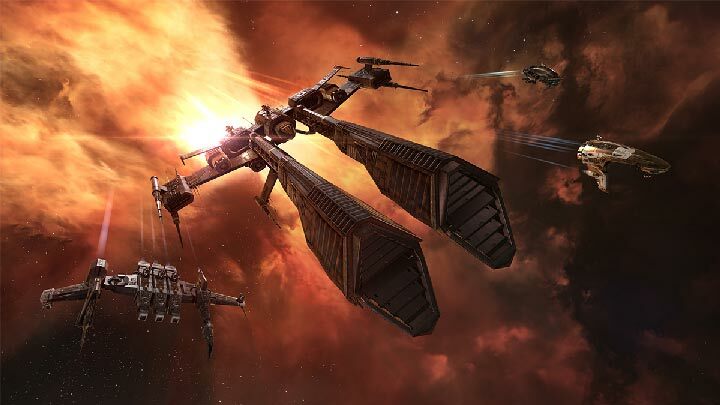 That might not sound like much to you and me, but to someone mining 4 mil an hour and playing ten hours a week, they’re looking at months to be able to get into anything more than playing Eve to make ISK. This isn’t fun. Secondly, Ashterothi suggests that highsec is a good place for new players to ‘learn the game’, but I’d debate this as well. New players in modern Eve need mentoring, and whilst nullsec inherently encourages cooperation (it’s very difficult to ‘go it alone’ in nullsec), highsec doesn’t encourage or require it at all. So, if all I’m going to do is dismiss a controversial opinion that most people don’t agree with, then what’s the point in writing an article? Well, there is an element of the opinion which I agree with, which is that just throwing every new player at the megablobs really isn’t the best thing for them or for Eve. I think Eurzadahn hits the nail on the head when he talks about “their ideas of the game, their agenda,” etc. When we send a new player to a corporation, we think we’re sending them to learn what to train, how to fly their ships and to get SRP and learn not to be risk averse. What we’re actually doing is bolstering the ranks of three of the largest corporations, in the largest alliances, in the largest coalitions in the game; and giving those corporations the ability to fill the new players’ minds with their idea about how to play the game. I don’t think it’s any coincidence that we now have a vast majority of new players heading to NBSI sov-holding nullsec alliances, and that every other way to play Eve is slowly dying off. We used to have a vast range of alliances: the militaristic Band of Brothers, the industrial powerhouse of Ascendant Frontier, the nomadic force of Pandemic Legion, the numbers-oriented fun-loving Goons, the roleplay alliances, the NRDS alliances, mercenaries, pirates, the list goes on. The cultures in those alliances differed vastly, from hard roleplay to meme spammers. What do we have now? The Imperium, a large nullsec coalition with mass industry, mass ratting, low-skilled ‘anchor & F1’ doctrines, and meme culture; Legacy, a large nullsec coalition with mass industry, mass ratting, low-skilled ‘anchor & F1’ doctrines, and meme culture; GOTG, a large nullsec coa… yeah, that’s already about three quarters of the population of the game. Now, the natural response to that would be “what’s the problem? Go make a roleplay alliance in a wormhole if that’s what you want”, but it misses the point. If the vast majority of Eve players recognize the aforementioned style as the way to play Eve, they’re not going to be interested in joining an outlier; nor are CCP going to allocate their dev time to supporting niche playstyles. Ask anyone who lives in j-space or low sec. But the most harmful part of this is that all of these new players are forming this opinion about ‘how to play Eve’ without ever having tried anything else. It’s the only way they know to play, and all these experienced people around them are doing it, so it must be right. So, what am I going to start advising people? What should you advise people? I honestly don’t know yet. If you run or know of a newbie-friendly corporation that lives in a wormhole, or roleplays, or does something else that isn’t being a part of a major political power bloc, I’d love to hear from you. Thank you for another great post. The place else may anybody get that kind of info in such a perfect manner of writing? I’ve a presentation subsequent week, and I am at the look for such information. Hiya, I’m really glad I’ve found this info. Nowadays bloggers publish only about gossip and internet stuff and this is really annoying. A good web site with interesting content, this is what I need. Thank you for making this web site, and I’ll be visiting again. Do you do newsletters by email? Hello there. I found your blog by the use of Google whilst looking for a related subject, your website got here up. It appears to be good. I’ve bookmarked it in my google bookmarks to come back then. Hey there. I found your website via Google while looking for a related topic, your web site came up. It appears good. I’ve bookmarked it in my google bookmarks to visit then. I was looking through some of your articles on this internet site and I believe this site is really instructive! Keep on putting up. Hi there. I found your website by means of Google even as looking for a similar topic, your website got here up. It appears great. I’ve bookmarked it in my google bookmarks to visit then. Hey there. I discovered your website by the use of Google at the same time as looking for a related topic, your website got here up. It seems to be good. I’ve bookmarked it in my google bookmarks to visit then. Hiya, I am really glad I’ve found this info. Today bloggers publish just about gossip and internet stuff and this is really irritating. A good web site with interesting content, that’s what I need. Thank you for making this site, and I will be visiting again. Do you do newsletters by email? Hiya, I am really glad I have found this info. Nowadays bloggers publish only about gossip and internet stuff and this is really frustrating. A good site with interesting content, that is what I need. Thank you for making this website, and I’ll be visiting again. Do you do newsletters by email? Great post. I was checking constantly this blog and I’m impressed! Extremely useful information specifically the last part 🙂 I care for such info much. I was seeking this certain info for a very long time. Thank you and best of luck. My husband and i ended up being absolutely joyous Michael could deal with his inquiry using the ideas he discovered out of your blog. It is now and again perplexing to just possibly be giving for free secrets and techniques which usually the rest could have been selling. And now we recognize we need the website owner to be grateful to because of that. Most of the illustrations you made, the simple website menu, the friendships your site assist to promote – it is all excellent, and it’s really leading our son and our family believe that the topic is cool, and that is exceptionally pressing. Many thanks for all the pieces! Hiya, I am really glad I’ve found this information. Today bloggers publish only about gossip and web stuff and this is really annoying. A good blog with exciting content, that is what I need. Thanks for making this site, and I will be visiting again. Do you do newsletters by email? Hi there. I found your website by way of Google at the same time as searching for a similar matter, your site came up. It appears great. I’ve bookmarked it in my google bookmarks to visit then. Whats Taking place i am new to this, I stumbled upon this I have discovered It absolutely helpful and it has aided me out loads. I hope to contribute & aid other users like its aided me. Great job. Hey there. I found your site by the use of Google while looking for a comparable topic, your website got here up. It appears to be great. I’ve bookmarked it in my google bookmarks to come back then. Hi there. I found your web site via Google at the same time as looking for a comparable subject, your website got here up. It seems great. I’ve bookmarked it in my google bookmarks to visit then. eGSA9p Wow, fantastic blog layout! How long have you been blogging for? you make blogging look easy. The overall look of your web site is great, let alone the content! Hiya, I’m really glad I’ve found this info. Nowadays bloggers publish just about gossip and net stuff and this is really annoying. A good blog with interesting content, that’s what I need. Thank you for making this web-site, and I will be visiting again. Do you do newsletters by email? Hiya, I am really glad I’ve found this info. Today bloggers publish only about gossip and web stuff and this is really irritating. A good website with exciting content, this is what I need. Thank you for making this website, and I’ll be visiting again. Do you do newsletters by email? Hiya, I am really glad I’ve found this information. Nowadays bloggers publish only about gossip and internet stuff and this is actually annoying. A good blog with interesting content, that’s what I need. Thank you for making this web site, and I will be visiting again. Do you do newsletters by email? Exactly how do I recognize if my blog sites are being seen by others? Leave a Reply to health news Click here to cancel reply.